Get an exclusive Disc + Digital Collector's Set (HDX only) with Digital HDX , Blu-ray, DVD, Rubik's Cube, and Stickers. Quantity limited. 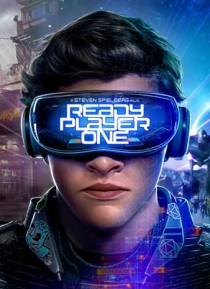 From filmmaker Steven Spielberg comes the science fiction action adventure "Ready Player One," based on Ernest Cline's bestseller of the same name, which has become a worldwide phenomenon.